To update the check-in summary report notification time, go to Team Settings - General. In the “Notifications” section you can update the check-in summary report time. 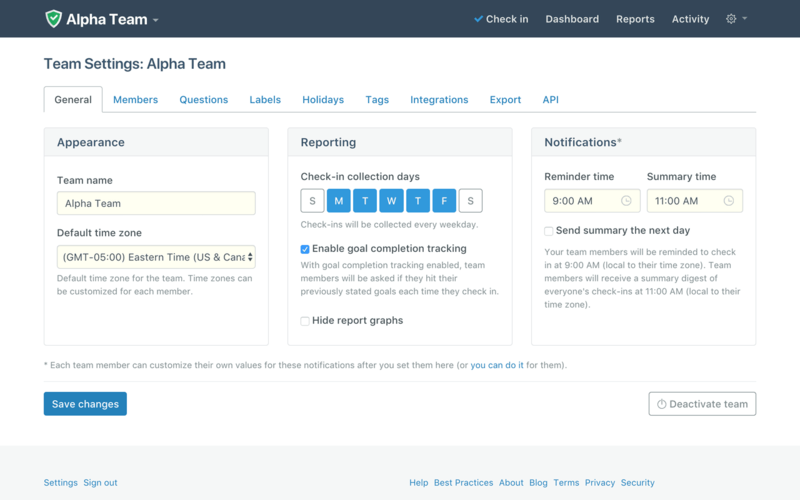 Your team members will receive a summary of everyone’s check-ins at this time, local to their time zone.